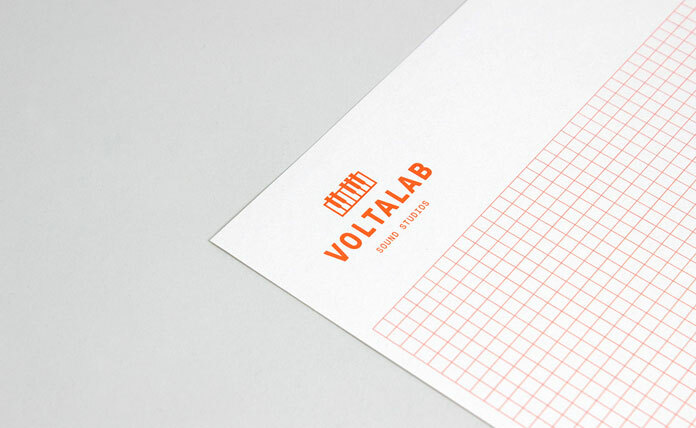 A new visual identity developed by Fieldwork for Voltalab Sound Studios. 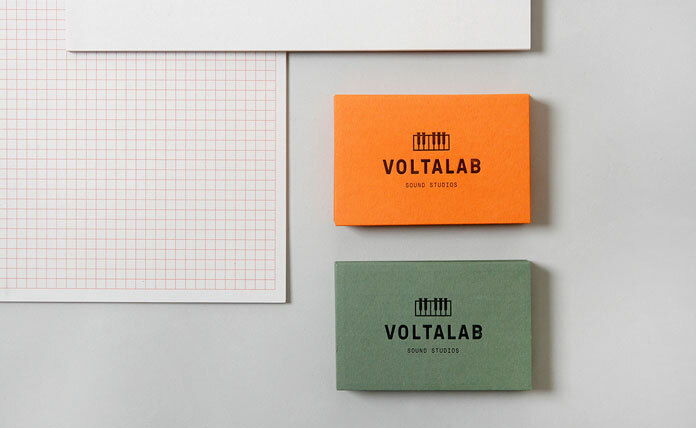 The team of Fieldwork, a Manchester, UK based branding and graphic design firm was asked to develop a new visual identity for the Voltalab Sound Studios. The brand new recording studio is situated in the space where Cargo Studios and Suite 16 used to be. The studio is mainly focused on recording classic bands such as New Order, Joy Division, Orchestral Manoeuvres In The Dark, The Fall, Happy Mondays, and The Stone Roses. Inspired by the buildings rich heritage, Fieldwork’s creative team has created a visual language that captures the energy of the space. 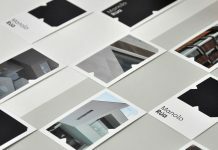 Their aim was to develop an authentic brand, which is bringing together old and new influences. Feel free and read more blow. 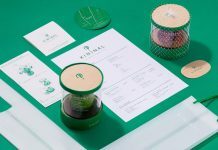 The brand identity and stationery system. 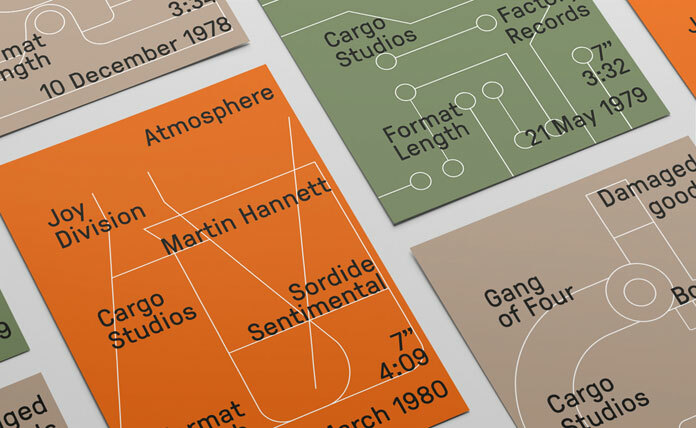 Flexibility was a key feature of the new visual identity. 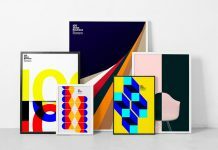 They used a wide variety of materials as well as different formats and processes like letterpress and screen printing. 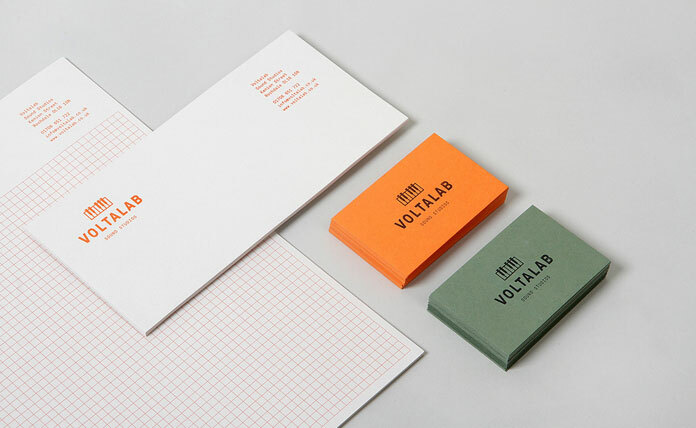 The stationery set includes letterheads, grid paper, complement slips, and letter pressed business cards in two colors. 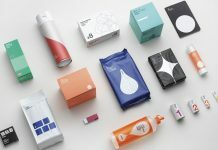 The simple branding guidelines inform on how to effectively implement the brand assets to all applications including print, web, and social media. 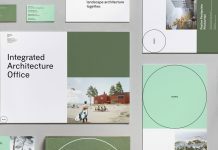 You can find more images of the branding project below or check out some of Fieldwork’s older projects on WE AND THE COLOR. 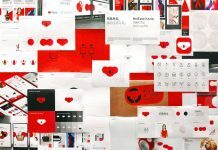 If you want to hire this exceptional design studio, please visit their website. 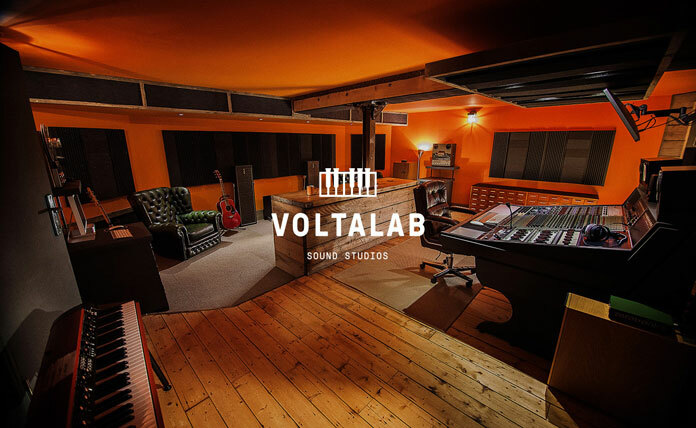 A look inside the Voltalab Sound Studios. 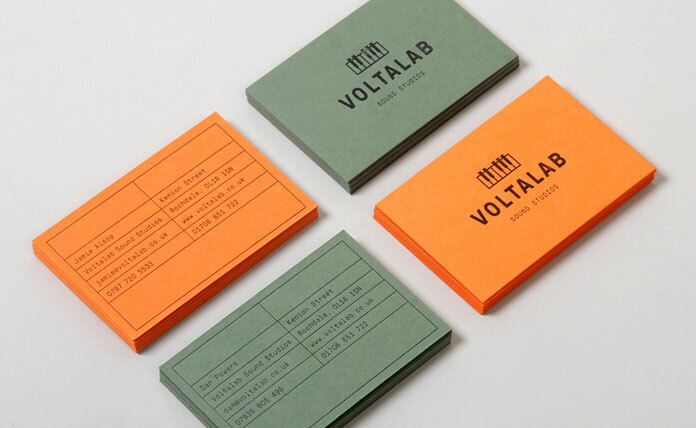 Business cards in two colors. 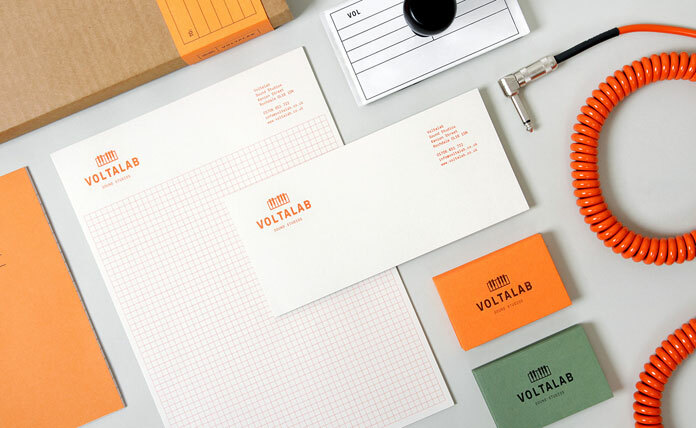 Stationery design including letterheads, envelopes, and business cards. 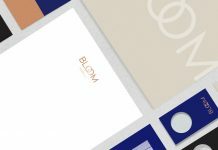 Close up of the business cards. Close up of the letterhead. The studio is focused on classic rock music. 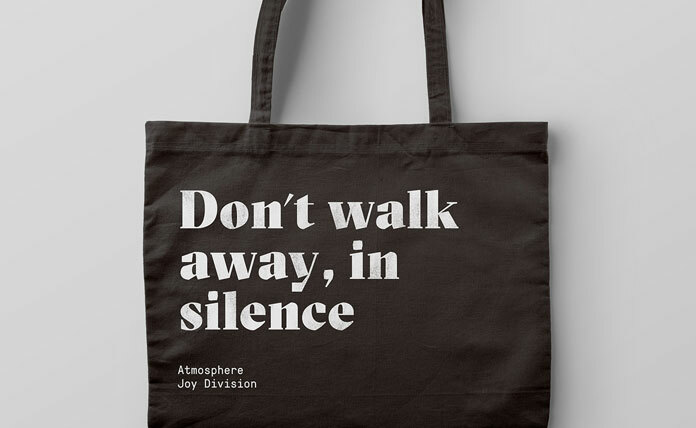 Cloth bag: “Don’t walk away, in silence” – Atmosphere, Joy Division. 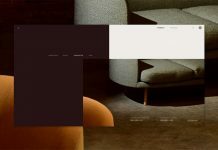 Do not hesitate and discover more inspiring work on WE AND THE COLOR. 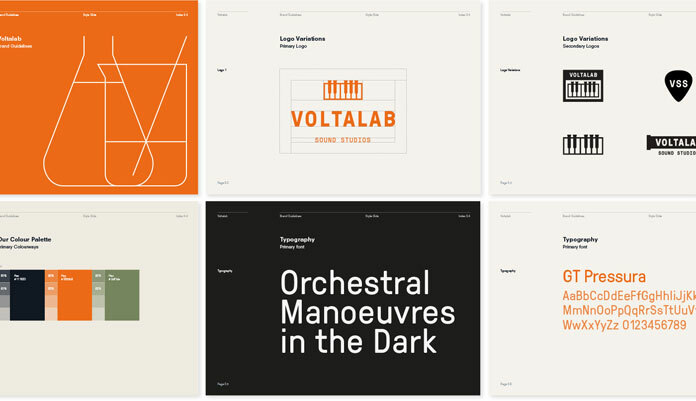 Our Graphic Design and Branding categories are filled with exceptional projects from all over the world.